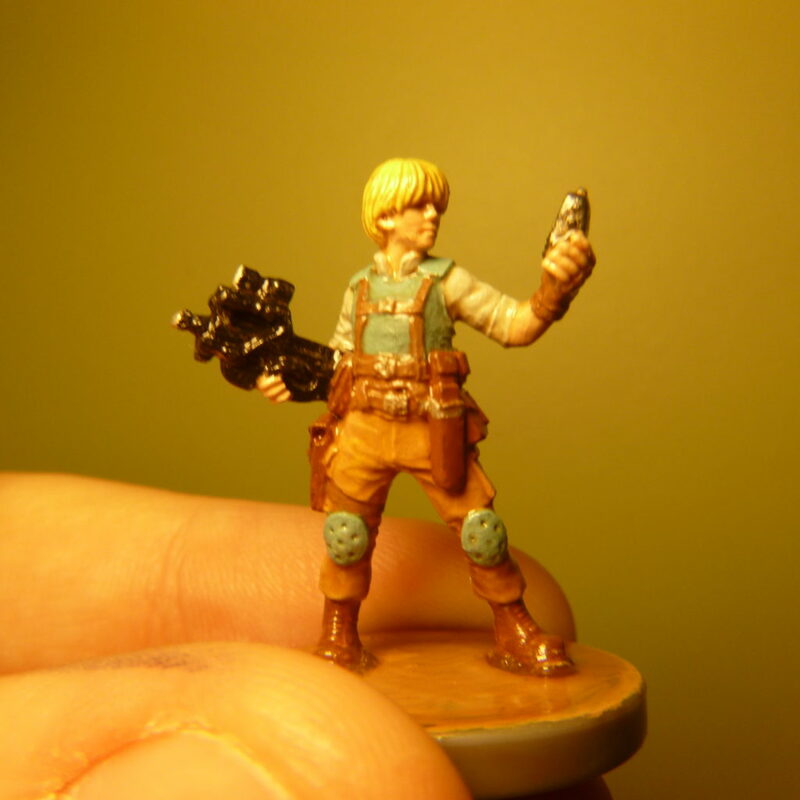 Hasslefree Miniatures‘ Widow reminds me of Samatha Carter from Star Gate SG1. She’s dressed for adventure, is well armed, and has the tech angle covered. 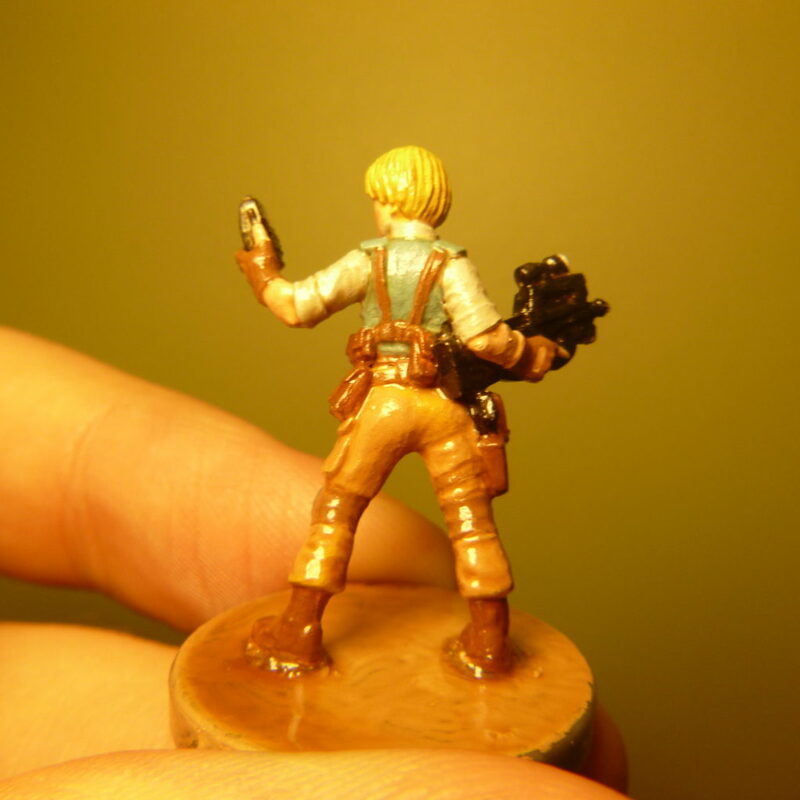 Ideally, I should have painted eyes on this miniature but fortunately the sculpt is such that that detail is obscured. I was very pleased with how this paint job turned out and am looking forward to painting a few more of the Hasslefree Miniatures that I ordered. I primed this pewter miniature with thinned white Gesso and the details came through the priming process nicely. The Gesso I’ve been using definitely benefits from some thinning before application on pewter, I’ve been eyeballing it up to now but I’ll try to work out an approximate percentage. I primed this at the same time as the Brooke miniature so the process was the same.